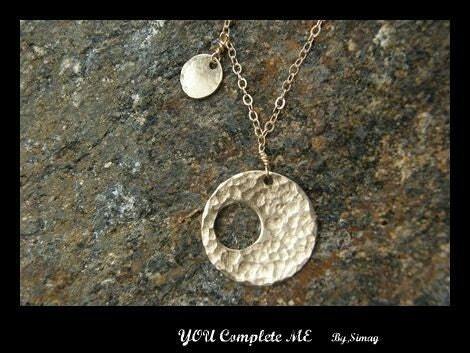 Sima designs her personalized silver jewelry with a lot of love. “This isn’t just a job for me” she says, “it’s a great passion and blessing, to be able to be a part of a family’s story – even if just in that short moment of time.” Sima creates one-of-a-kind personalized jewelry according to her customers’ request, with a unique word in Hebrew or English to represent the person wearing the jewelry – it could be a name, a date, or simply a little word which holds an entire world inside it, such as “love”. Sima’s jewelry bracelets and necklaces are made of sterling silver, gold filled, 14k gold, copper, each jewelry design is unique and meaningful. Her inspiration comes from her family, the nature around her and songs she likes, as the “You Complete Me” necklace inspired by a beautiful Hebrew love song. Thank you so much for featuring my jewelry in your website.I am honor to be part of the Israeli blog. Nice blog.I really like it.